A comprehensive online course with everything needed to become a trained Fire Warden or Fire Marshal. Content aimed specifically at professionals in the Care industry. This course contains everything you need to know to become a fully qualified Fire Marshal. This programme is designed to suit the working environment of those within the care sector. Fire Warden Training in Care is designed to help you understand your legal duties when it comes to performing risk assessments, coordinating fire evacuations and managing emergency procedures. It is suitable for anyone wishing to undertake Fire Marshal responsibilities within a hospital or care home environment, and will help ensure your workplace is safe. Evacuation in a fire emergency and preventing fires within the care industry is an incredibly important role. There will usually be a lot of people to evacuate within a care home and sometimes many of them are not mobile. Therefore, precautions have to be put in place for this. This training will be broken down into 5 sections: an introduction into what a fire warden's responsibilites are, what preventative measures can be taken, what to do in an evacuation, the different fire extinguishers and a look into the relevant legislation. This programme also takes a look at basic fire extinguisher use; effective fire prevention measures; and current legislation. Get started today with a free trial! This course can be used in conjunction with our Fire Awareness in Care Training. Alternative languages available. Check our translation page if you require an alternative language. The Fire Warden Training in Care course is broken down into 5 sections. In the first section of this course, we take a look at the basics of what a Fire Warden is and what their responsibilities broadly cover. We also introduce some general information about the dangers posed by fire, common fire signage and the potential costs associated with fire damage. And we look at fire detection systems in care settings. This chapter covers the importance of performing fire risk assessments, as well as exploring the importance of performing regular and organised fire evacuation drills. We look at the need for a fire emergency plan and a fire evacuation plan. In this section we also look at people who may be at particular risk, explaining what personal emergency evacuation plans are and who may need them. Understanding what is involved in a safe evacuation is crucial for any fire marshal. This section of the training covers human behaviour in the event of an evacuation, and allows the delegate to appreciate the key role of the fire warden in maintaining safety and order in an emergency situation. We look at evacuation equipment and refuges and explain the evacuation strategies appropriate to care settings. Different types of fires require different extingushers. Here we help you understand which ones are appropriate, as well as lookng at how to operate them.. The final section of this course is presenter-led, and explains the relevant UK legislation associated with fire safety. This chapter is followed by and end of course test, which must be completed in order to access the certificate. Each of our courses ends with a multiple choice test to measure your knowledge of the material. This Fire Warden Training (Care) course concludes with a 20 question multiple choice test with a printable certificate. In addition, brief in-course questionnaires guide the user through the sections of the training and are designed to reinforce learning and ensure maximum user engagement throughout. As well as printable user certificates, training progress and results are all stored centrally in your LMS (Learning Management System) and can be accessed any time to reprint certificates, check and set pass marks and act as proof of a commitment to ongoing legal compliance. What does my certificate include? Your Fire Warden (Care) Certificate includes your name, company name (if applicable), name of course taken, pass percentage, date of completion, expiry date and stamps of approval or accreditations by recognised authorities. Based on 30 real user reviews. Says it take 78mins to do course (not including the test), actually took nearer to 2hrs to listen to 101 slides, felt it was far too long! All good but noticed that there were a few "stutters" on play back where at the end of some slides words were not said that was in the transcript also one video slide with the fire officer was out of sync - perhaps it was my internet connection but I average 26.3Mbps. A very good course. Easy to follow. Clear information. A thoroughly enjoyable course with good balance of videos / information. A very good and informative course that didn't overwhelm with information and stats. The short burst video's made it easy to take information in and remember it. Good use of video and having actual fire wardens/fighters introduce sections made it feel less like online training. Explained everything you needed to know about fire contol, protection during a fire emergency, different forms of fire extinguishers. Read our full reviews for Fire Warden Training in Care. It's important that you comply with the law and know the ways in which it affects you and the way you work. Take a look at relevant legislation below. Placeholder image for What’s the difference between Fire Awareness and Fire Warden Training? What’s the difference between Fire Awareness and Fire Warden Training? Placeholder image for What are the different types of Fire Extinguishers? 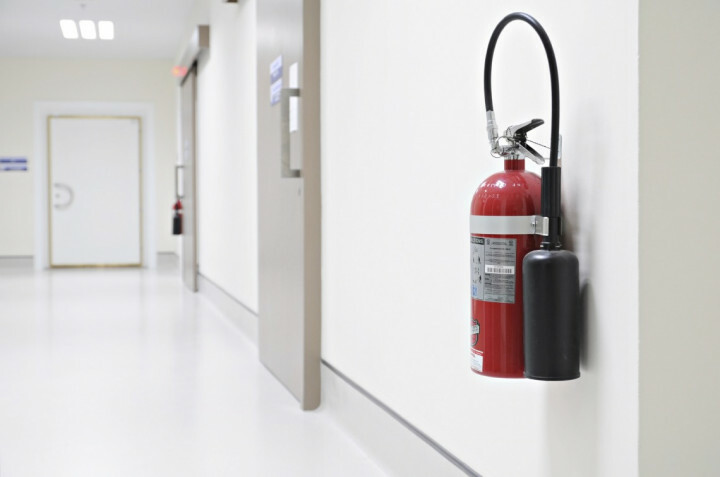 What are the different types of Fire Extinguishers? Join more than 7,000 other businesses that rely on us to make workplace training simple.